I created this card with the September Studio AE stamp set "Family Is by Ali Edwards" - this is such a versatile stamp set. I've been able to use it not only for scrapbook layouts but for cards as well. I love that! I used the gorgeous Random collection by Crate Paper on this card. I just love the mix of patterns and colors in this collection. And that denim paper ... oh my word I love it so much! Gorgeous card! Great minds think alike... I just posted a card with the same papers! This card is GORGEOUS! I'm hoping to get some crafting in after hubby comes home from work. Until then, I'll be hanging out with my boys. Beautiful card! Love these Crate papers. When I first saw this stamp set, I wasn't sure how much I'd use it, but yours and others' cards using it really give me inspiration. Thank you! besides hoppin around on the blogs I hope to get some christmas cards done! Adorable card Lynn - Love that stamp set. Today I am working around the house hoping to get to my scrap room :-) Love your blog & your talent!!!! Gorgeous card....love the colours. I'm going to work on my BG 2012 Calendars today:-) Happy WCMD! My plans for the day included watching my son play soccer, laundry, a little blog surfing, have family movie time, and family dinner. Beautiful card..I love crate paper too! I'm going to download and edit all the pictures from my sons birthday party yesterday. And maybe squeeze a nap in. very pretty card. tfs. i'm going to work on my september calendar page. Saturday was too busy for me to get to my scrap room, but today I've been able to think scrappy :) Beautiful card. Love the AE stamps. Love the card, Lynn. Unfortunately, card making was not in the cards for me this weekend. Yesterday, I was looking at schools for my daughter and attended three open houses. Last night I drove in to NYC to babysit for my nephew and today we watched my son and his high school band march in the Huntington Columbus Day parade! I LOVE Ali's stamp sets. I just bought a couple and I really love them. 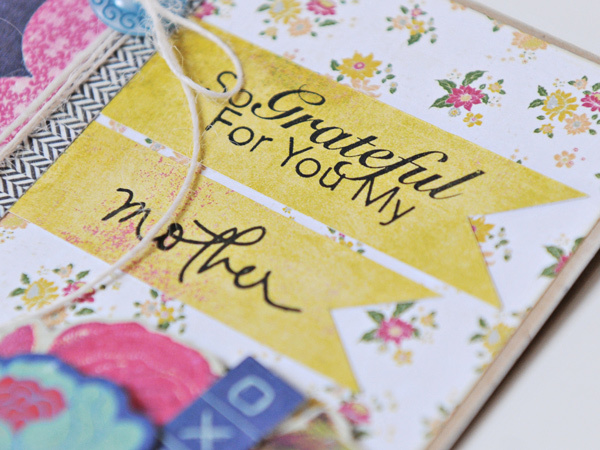 There are so many great sentiments that will work great on layouts or cards! Thanks for the chance! fab card!!! I worked at my LSS on WCMD! Thanks for the chance! Lynn...the denim paper is the bomb with the pink scallops!!! What a great card. I surfed all the great blogs and made a few hand drawn embellishments for a project in progress...it was great fun! Merveilleuse!! Tu as un style incroyable! WoW! Beautiful card, and what a beautiful collection of goodies you used to make it! Love that Crate paper and AE stamps are always my fav! On NCMD I got together with one of my dearest friends, whom I haven't seen in quite awhile and we spent the ENTIRE day cardmaking..what a treat! !